The esky is as Australian as the thong, so what has US company Otterbox got that we don’t? Bears, and it seems that the need to keep the destructive foragers out has led to a super-tough range of eskys. 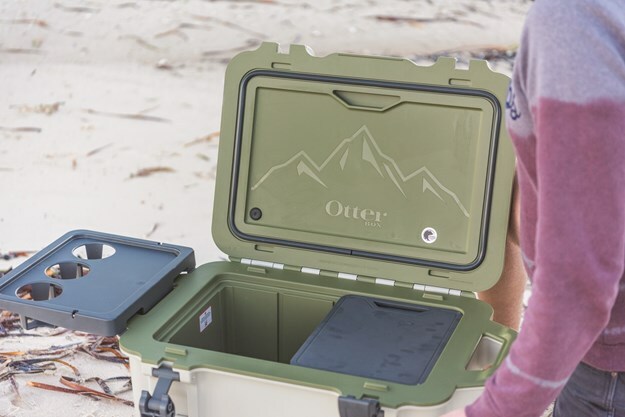 According to Otterbox, beers and bears do not mix, so it created its bear-proof Venture Series Coolers. But a trip in the heat of northern WA proved there is more to this good looking esky than a tough skin. The new-to-Australia range has some clever features as well as strong fundamentals for keeping your food and fluids cool for longer. We had a Venture 45 along for the ride up WA's Coral Coast to Karijini as our snacks and water holder. The 45 stands for its capacity in quarts, which translates to about 42L. The first thing you will notice about the look of the Venture 45 is the moulded handles. 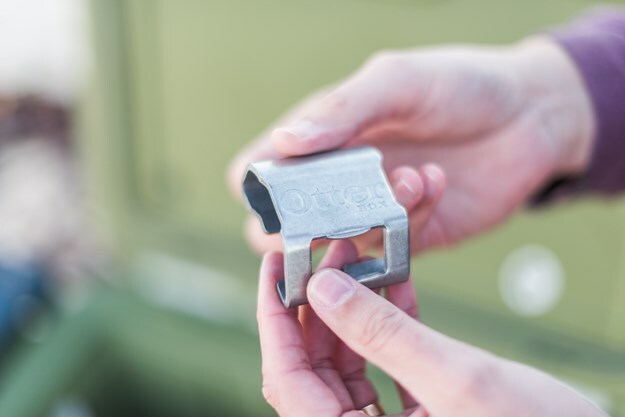 They make carrying the unit easy and work as tie-down points — their positioning allows you to open the lid while tied down, which is handy on road trips. The skin is polypropylene and two-part polyurethane insulation internally makes for a comparatively lightweight esky for its volume, tipping the scales at a shave under 12kg. Capacity-wise it will take a couple of 5kg bags of ice and a slab of your favourite tinnies with ease, which we found stayed icy-fresh for about a week in our hot conditions with typical frequency of use. Over my years of travel I’ve had all manner of esky from the useless, hollow-bodied $25 Big-W special right through to rotary moulded polyethylene and hand-laid fibreglass units. I have learned to appreciate two key attributes: sealing and latching. A good seal can be the difference between a few days and more than a week of chilled product. Typically, seals use either a rubber foam strip or a silicon tube to compress between the lid and the opening. Otterbox uses the more hardwearing and easier-to-keep-clean silicon tube option and have it cleverly inset into a mould in the lid. It seals very well to the top of the esky with a quick leak test proving it works. The latches are also silicon so will not rust like metal springs would and are less likely to lose their shape like rubber. They are also nicely inset and feature a hole for adding an optional lock. A pet peeve for me is soggy fruit and veggies. Some esky makers use vertical dividers which will ultimately still allow moisture through. 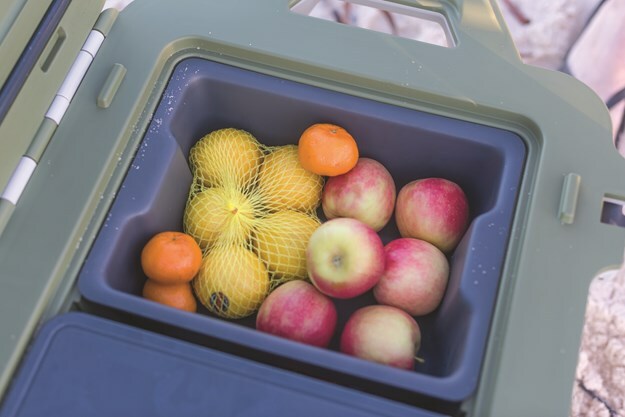 The clever among us put our perishables in sealed bags or containers but sometimes the shapes are not compatible, so Otterbox designed a simple drop-in tray to work with the 45 and other sized coolers. Being factored into the design from the get-go means it sits neatly in a lip at the top of the opening to stop it from falling while also not preventing a proper seal when closed. Also available is a handy cutting board which doubles as a divider when slotted into moulded grooves in the sides. We were also treated to a steel bottle opener which clipped on to the outside, as well as a drinks table which was handy but took up a lot of space when not being used. I rate the look and robust body of the Venture 45 highly. It's not as space-efficient as some rivals with its protruding handles, but they double as tie-down points. The price will raise eyebrows but heavy users will be attracted to the easy-keep silicon seal and robust latches. Adding accessories will balloon the cost but I recommend the dry storage tray and cutting board, plus your mates will love the steel bottle opener even if it's a bit finicky to use. The Otterbox Venture 45 is a top-level esky, the kind you buy once and keep for a long time.